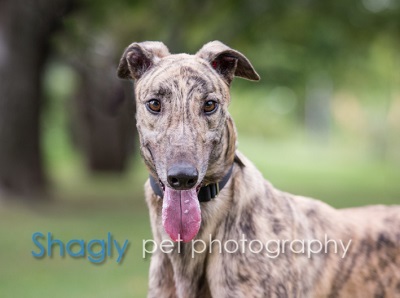 Piyo is a 4 year old fawn brindle male born on August 1, 2013. His sire is CTW Speedy Trent and his dam is Driven Promptly. 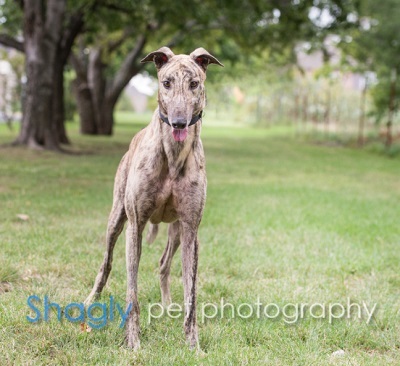 Piyo has 127 races to his credit on greyhound-data.com; he started his career on June 13, 2015 at Gulf Greyhound Park in La Marque, TX before moving on to Palm Beach Kennel Club in West Palm Beach, FL and finishing up at Mobile Greyhound Park in Theodore, AL on May 6, 2017. Piyo has certainly earned his leisurely retirement. It is not known at this time if Piyo is cat or small animal tolerant.